All the features of a SUPER BLUE 2® system in a fully integrated, disposable kit designed for today's high quality and fast paced demands. No more net adjustments. No more net replacements. 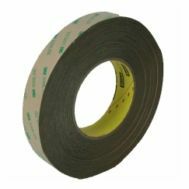 The Super Blue 2® LT™ anti-marking, anti-static system incorporates the StripeNet® anti-marking net and the base cover into a single integrated piece. Simply remove and replace when needed. No more wasted down time cleaning your anti-makring system. 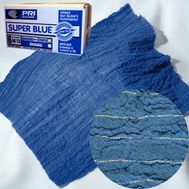 The Super Blue 2® LT™ system is 100% wash free. Just take off the old one and put on a new one. High quality printing and coating applications in today's highly competitive printing industry demand the best in marking protection. 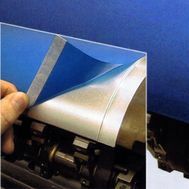 When it comes to protecting the wet side of the printed sheet using textured surfaces, nothing out-shines BLUE GLASS™ anti-marking film. 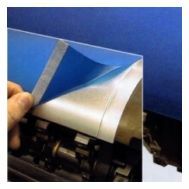 The unique construction of BLUE GLASS™ anti-marking film reduces marking problems associated with ink/coating build up on the surfaces of the transfer positions. 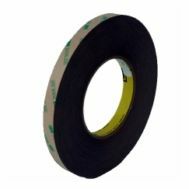 Available in thress grades in adhesive and non-adhesive rolls, cut sheets, or jackets.